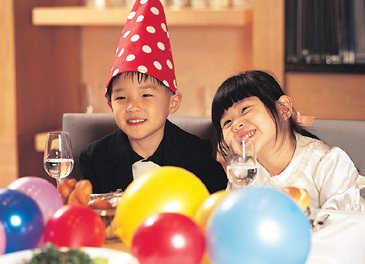 Lotte Hotel Seoul will present "Maple Story," a special promotion offering weekend menus for kids at four of their restaurants through December 23, 2006. In cooperation with Nexon Game Portal, Lotte Hotel Seoul's Peninsula Italian Restaurant, Mugunghwa Korean Restaurant, Tohlim Chinese Restaurant, and Momoyama Japanese Restaurant will offer Maple Story weekend menus for children where patrons will receive game item coupons as well as special serving dishes imprinted with Maple Story characters. Sure to be very popular with children, especially fans of Maple Story, the menus are priced at 15,000 won per person, not including Service Charge or VAT.